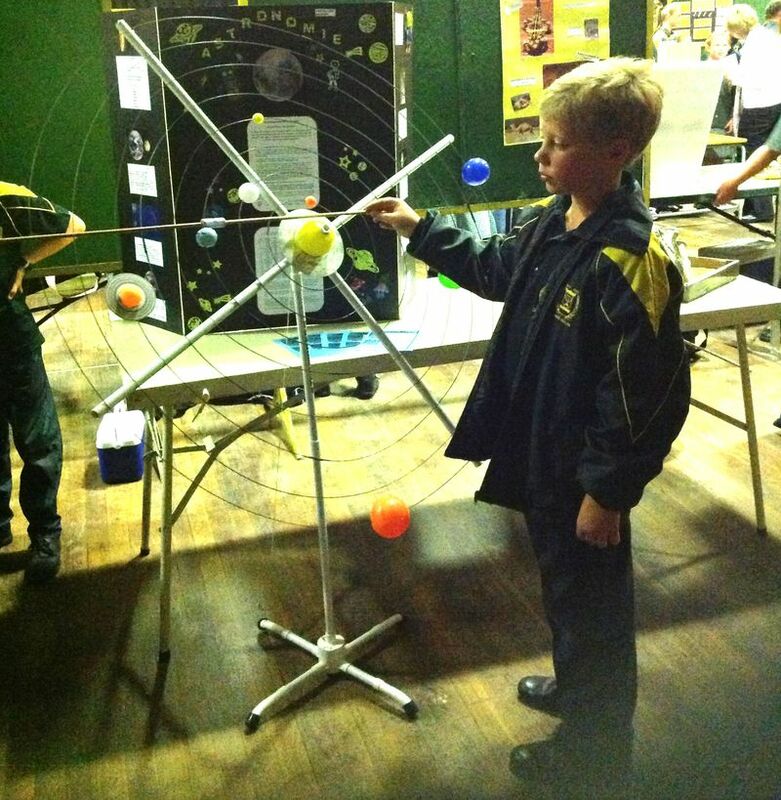 Children have shown that they can demonstrate planet movements using the Starwaders Portable Solar System Model. 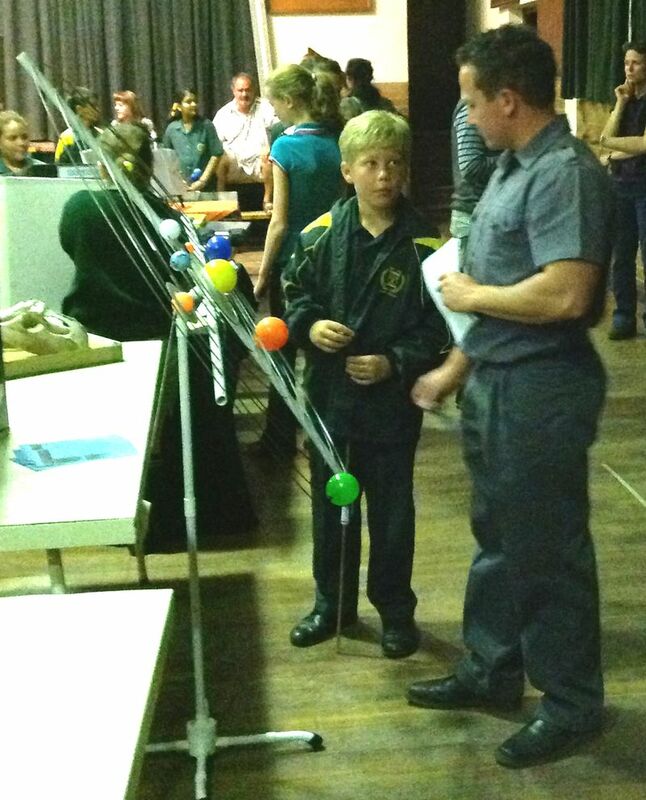 The model is regularly used at the Starparties presented by the Wits Marang Centre for Maths and Science Education. 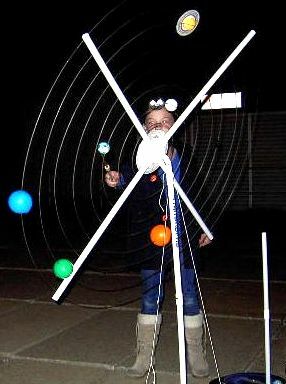 At a recent stargazing evening, young Natalie could not resist helping to build the model and by the time it was built, was so familiar with the solar system that she did the introduction to the presentation to stargazing party-goers. Young Brent's is fascinated by astronomy and when he wanted to do a school science exhibit on the subject, his mother found Starwaders, bought a model and having studied the model videos elsewhere on this website, young Brent demonstrated the movements of the solar system planets to many very interested visitors.